A night of happiness, love, death and poop. “This night is going to start out obscenely happy and get increasingly miserable,” Jeremy informs the audience before bursting into a gleeful tune where Everyone Gets a Kitten. While true in lyrics, the events of the evening remained as upbeat as possible. 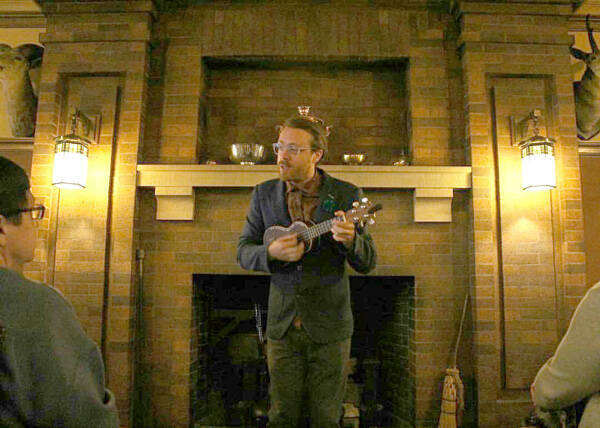 Perched in front of the fireplace of the amusement room of Glensheen mansion, Messersmith led the crowd of roughly 80 in song and laughs. 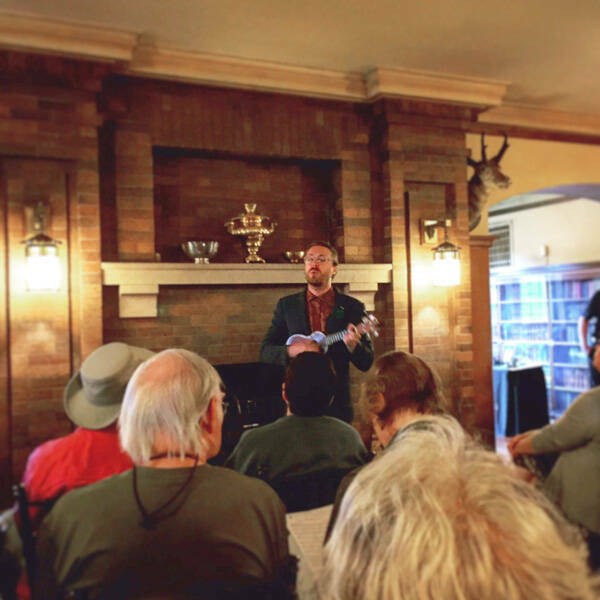 Attendees brought their own songbooks, ukuleles and other noisemakers to join along in the performance of 11 Obscenely Optimistic Songs for Ukulele. Toe-tapping and smiles were shared infectiously among strangers in a small room. 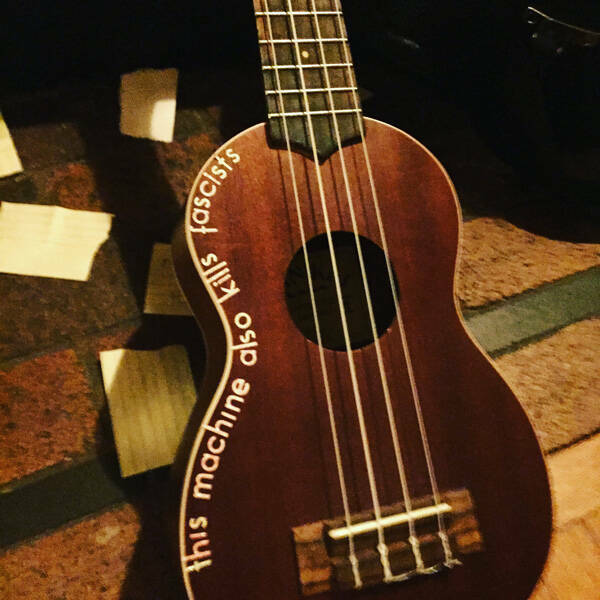 All of the ukulele jaunts were lovely and as happy as promised, helping bring the room together in preparation for the sad songs to come. 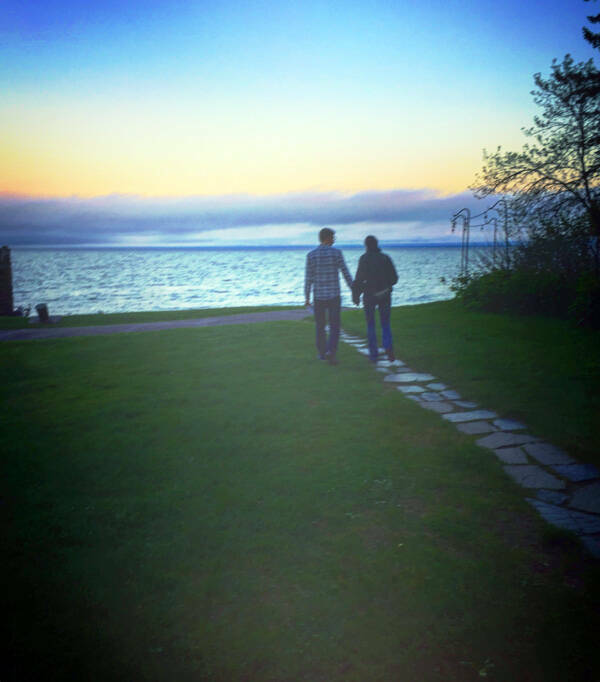 The songs were simple tunes about rainbows, unicorns, and innocence that are extremely welcome currently. There was a strong laissez-faire attitude (“all the work is done by robots… everyday is Saturday), that possibly hinted at dark tones of humanity (“everyone gets a kitten, a new one every single day). Jeremy managed to bring the room together in a new way I haven’t seen before. By offering the songbook to anyone for free it removed the entry barrier to sharing music. There are free releases, but encouraging people to play along as a member of the band with instruments is a new and refreshing idea. Remove the label of band or solo and the show becomes a community event with a smiling leader. To break the sets apart Messersmith employed an often used audience interaction of impromptu interview (Shellac, but less screaming) by anonymous questions. For the most part this worked really well as a time killer between songs, but there were a few awkward spots that ended up lingering too long. There were some very insightful questions and requests, but also a lot wanted to learn about his bathroom habits and a weird guilt trip that went on for way too long. While this isn’t directly Jeremy’s fault, it is always a risk to rely on audiences like this, especially in smaller places. It still worked as a filler and generally brought laughs to the space. Exactly as told would happen, away went the ukulele and out came the guitar and tears. 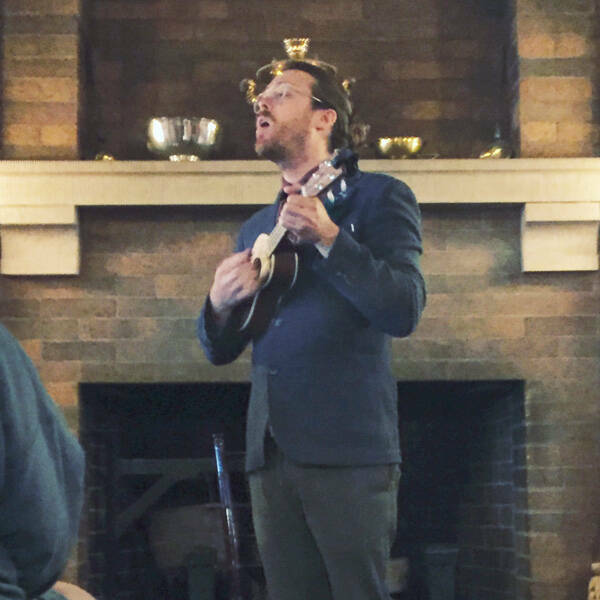 These are the songs of heartbreak I was used to hearing from years of seeing Messersmith. They make you smile a bit while they also twist the knife. He delivers these neo-folk tunes so lightheartedly that it’s easy to forget the themes of death, love and infidelity. There was still songs of happiness spread in the set, including a new song with Dan Wilson of Semisonic and a choral singalong during Violet!. The happiness is a major takeaway to this show. Where Messersmith seemed to be the more reserved individual behind the mic, he now is joking and seemingly past singing about death. His new songs are mostly as gleeful of the optimistic ones. It has been really exciting to watch Jeremy grow as a musician and I can only see even better things coming from here on. It’s also important how much the room helped bring this all together. The intimacy and beauty of the venue make it truly a one of kind place. Whoever is setting up these shows at Glensheen is continually doing a fantastic job. Whatever show is playing, go to it, it’s worth it. It is a really beautiful place and their willingness to open the space up is worth going for. I cannot wait to take part in more of it.